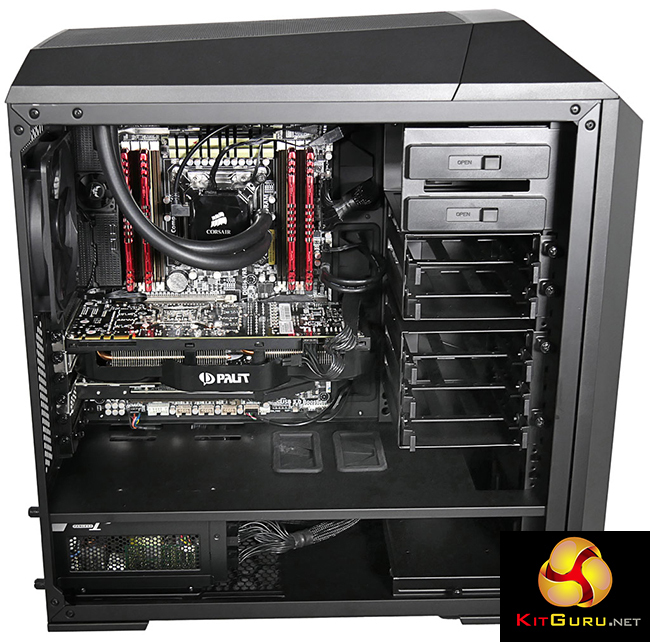 At KitGuru we have covered MasterCase 5 from the time it appeared at Computex and again during our recent visit to the Cooler Master European HQ. 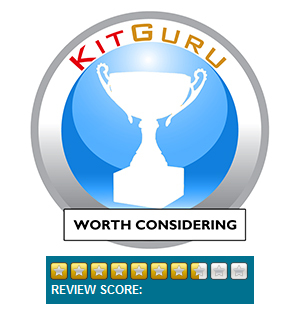 It has been a long few months and now it is time to get away from words about concepts and instead dish up a review of the finished PC case shortly before it hits the shelves of your local retailer. 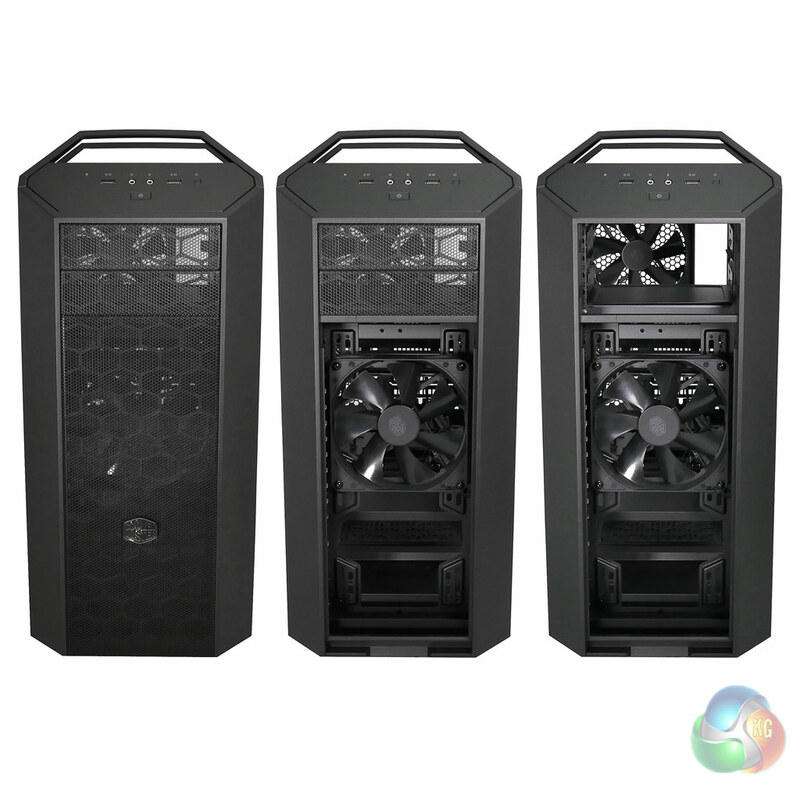 The only thing that differentiates our upgraded case from an actual MasterCase Pro 5 was the single fan at the front. 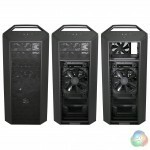 If we had been supplied with another 140mm fan it would be have become a Pro 5 from end to end. 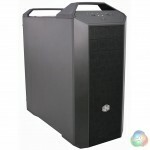 The difference with MasterCase is that Cooler Master intends to supply the various parts and accessories through the retail channel. So the parts we received in plain brown boxes should all be on sale very soon. 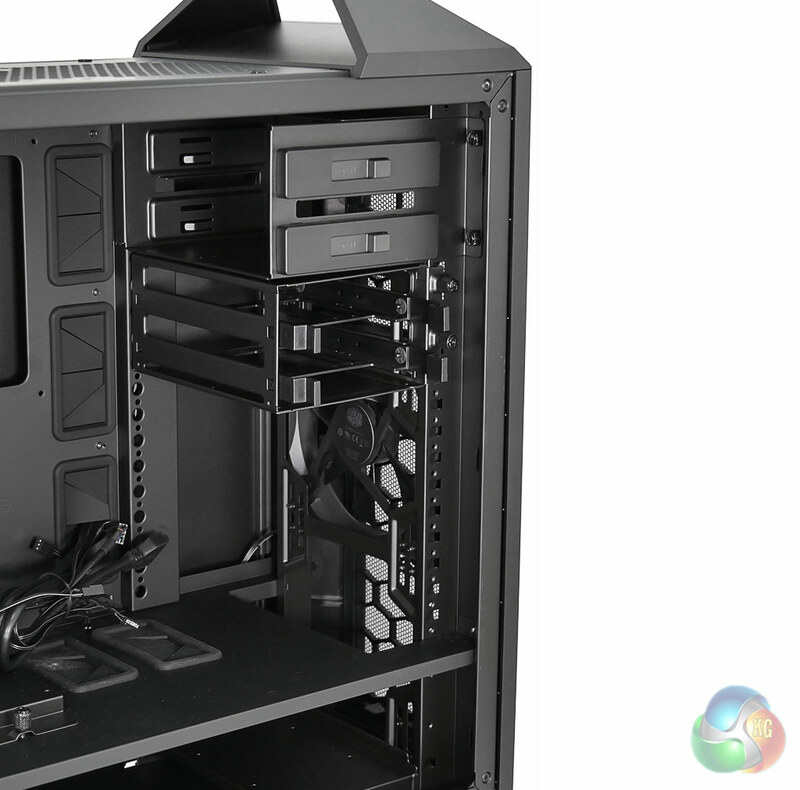 These are a windowed side panel (£17.77), mesh top cover kit (£12.09), dual drive bay (£9.24), triple drive bay (£10.67), and an SSD bay (£3.55). 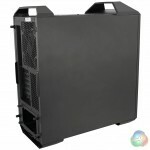 When Cooler Master releases the high end Maker 5 with a different front panel and a fan controller we have to hope they will come up with a number of other accessories. 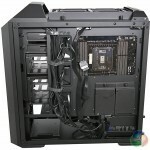 One option we would like to see is an I/O panel with USB 3.1 Type-C connector and we have to hope the Maker 5 front panel will fit the 5 and Pro 5 to blank off the optical drive bays for those people who don’t want them. 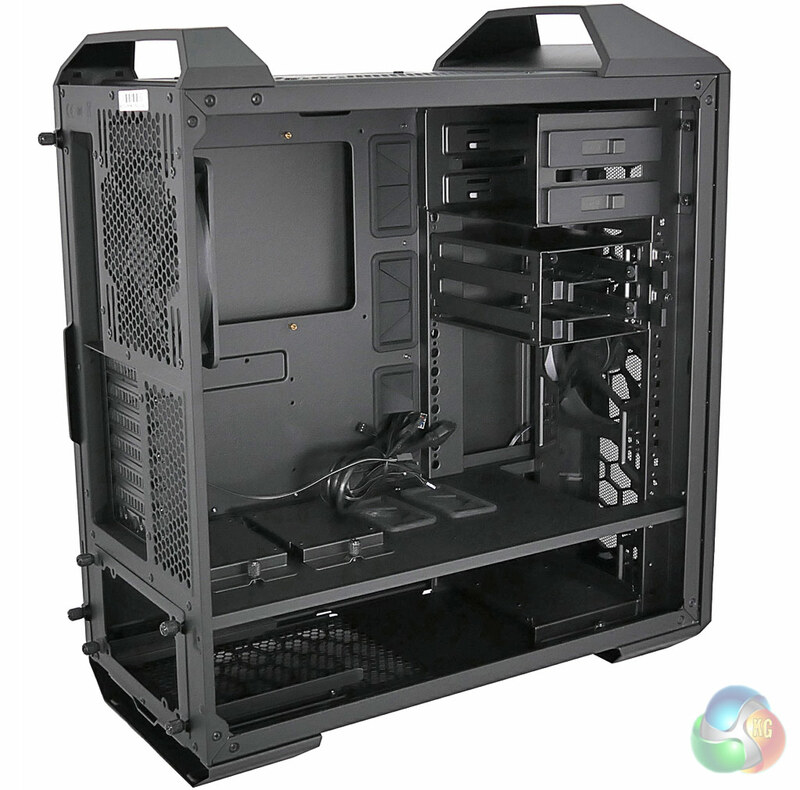 Building a system inside the case is easy as there is plenty of space. 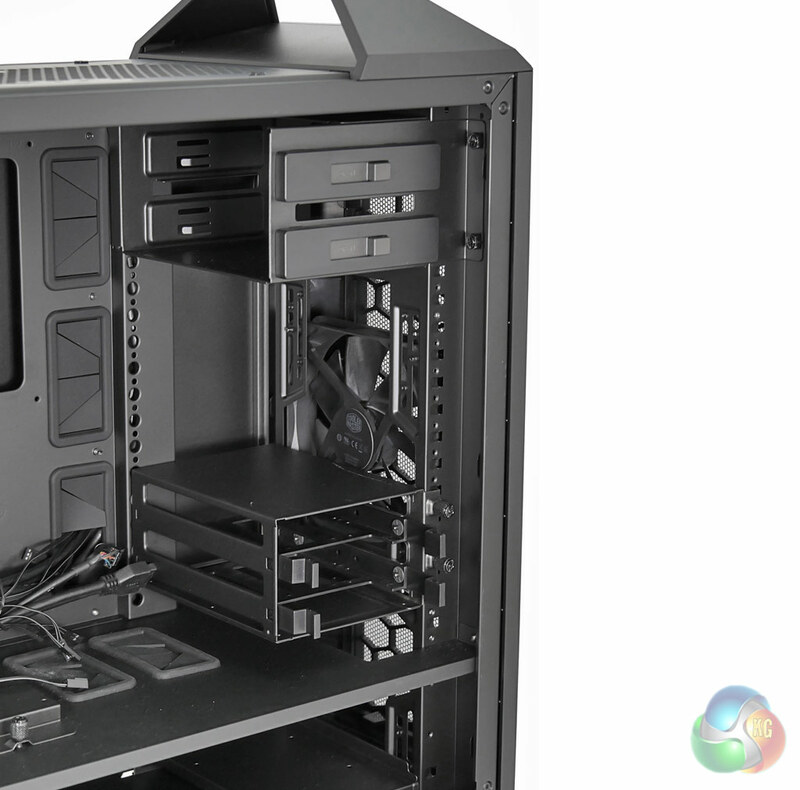 The power supply cover is fixed in place so you have to slide the PSU in from the rear of the chassis, but other than that it is all plain sailing and there is a pleasing amount of space to tuck away cables and keep things tidy. As you will see in the video the larger cable management holes have grommets and hook and loop straps to secure the cables. 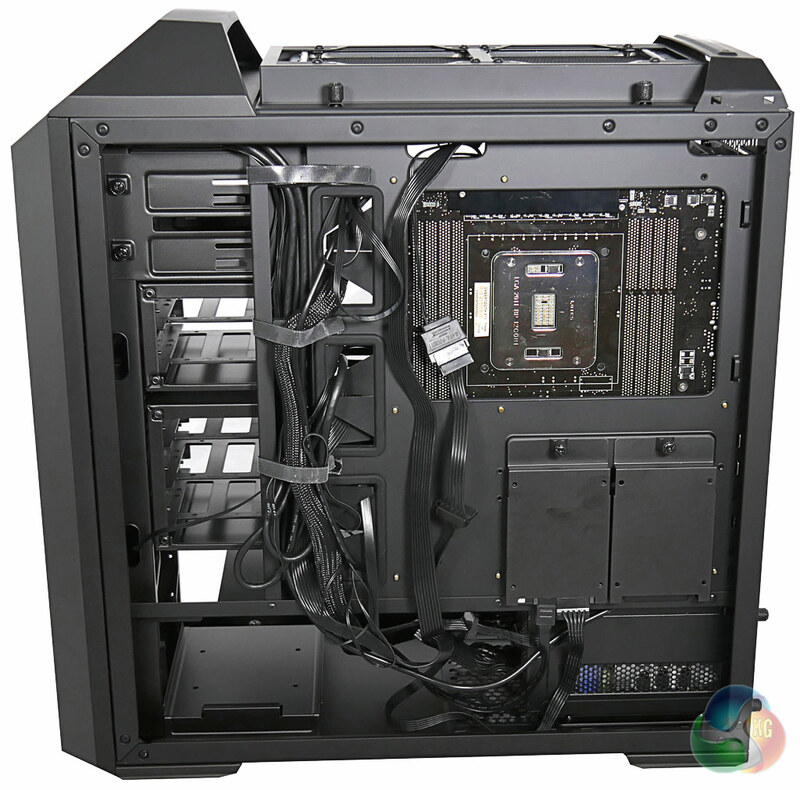 When you go to one side or the other to route the 8-pin EPS cable or the front panel headers you are pretty much on your own and have to route cables through holes that were not necessarily put there for that task. Certainly the smaller holes do not have grommets, however the edges of the steelwork are smoothly rolled and there are no nasty sharp edges to damage either the builder or the components. During the build we could not find a single cable tie point, and this is despite the fact that Cooler Master includes no less than ten cable ties in the accessory pack. 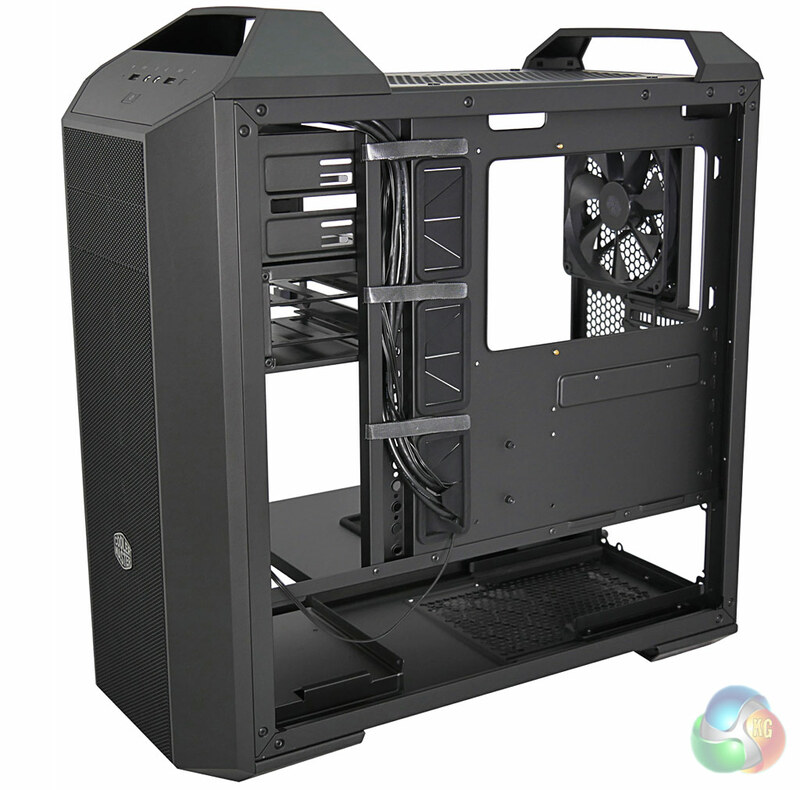 Using the mesh top cover kit is an interesting experience as the radiator mounting bracket lifts out of the top of the case which makes radiator installation incredibly simple. 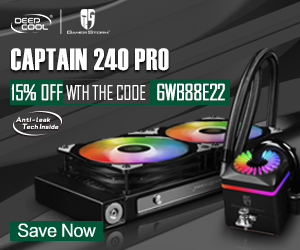 It is similar to the sliding rail used by Phanteks however the lift-off mesh top cover provides even better access on the Cooler Master model. 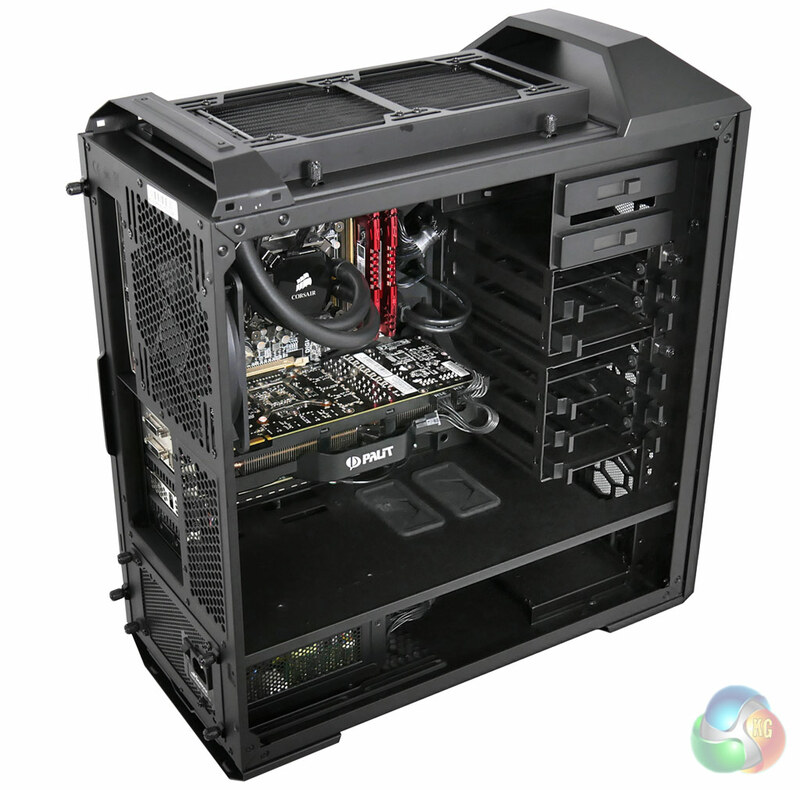 To put this case through its cooling paces we will be using a test system consisting of an Intel Core i7-3930K, GTX 780 graphics card and SSD storage drive. 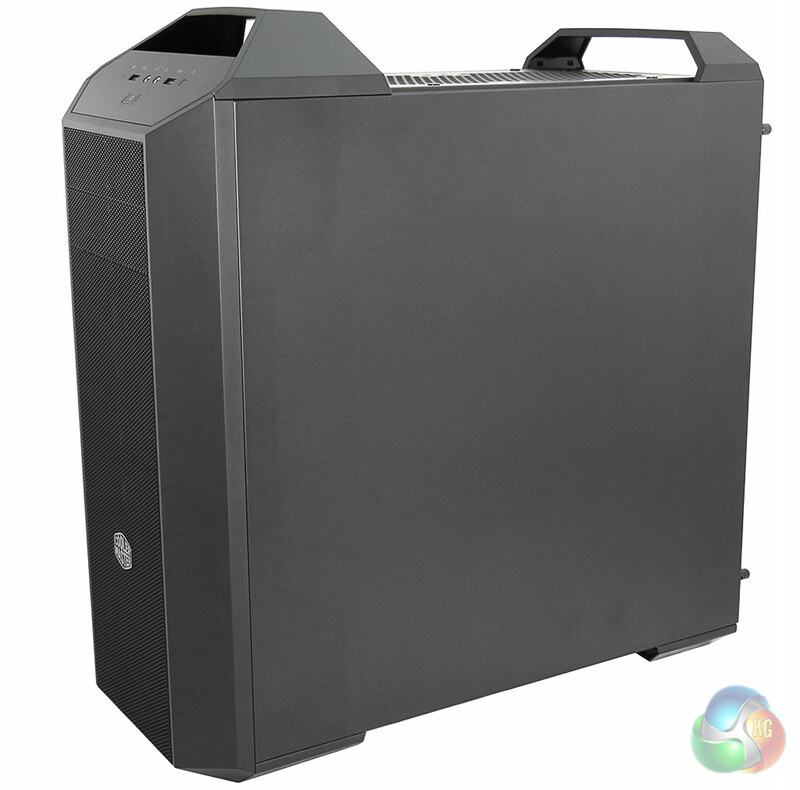 This system allows us to produce a substantial amount of heat and effectively test the Cooler Master MasterCase 5‘s cooling capabilities. 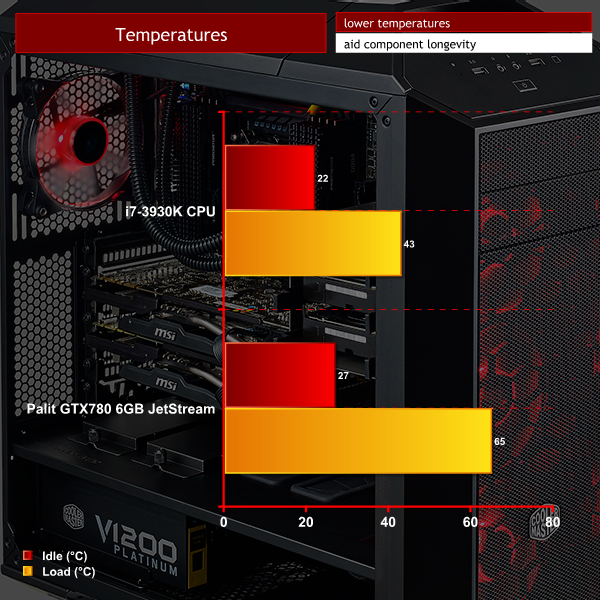 For stress testing we use AIDA64 to create the maximum heat output by stressing both the CPU and GPU. 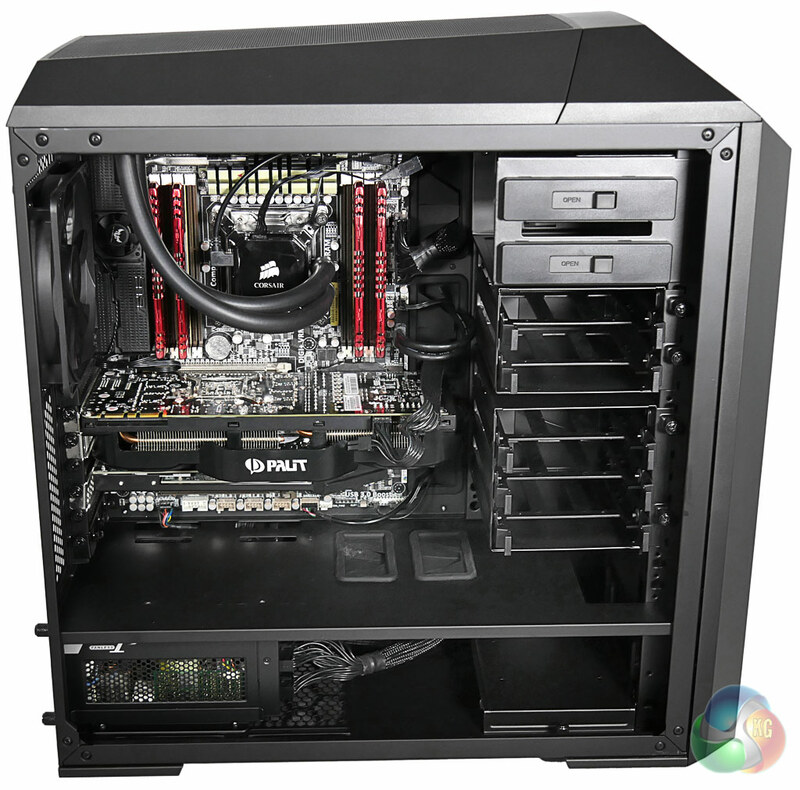 The cooling system in this ‘hybrid’ 5/Pro 5 system with single 140mm fans at the front and rear, and a Corsair H100i liquid cooler in the roof, worked well. Mind you, we didn’t expect much else as the airflow is nice and direct with no significant obstructions. 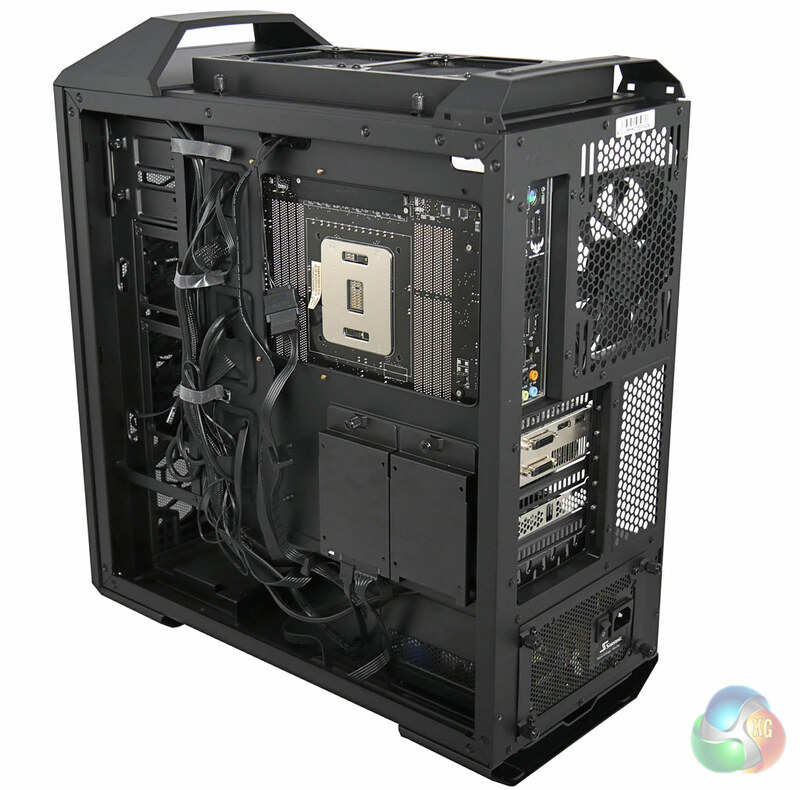 Air flows through the front, across the motherboard and graphics card and then either straight out the back or up and out through the liquid cooler. 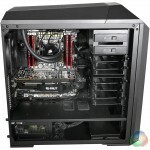 At idle this case is lovely and quiet but when the hardware is stressed the fans on the Corsair liquid cooler are clearly audible and aren’t subdued by the chassis. 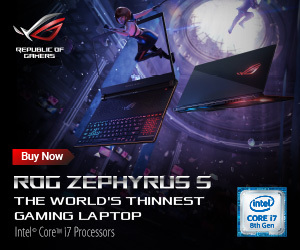 This is undoubtedly due to the mesh design used in the top cover which allows air to flow out of the case with the minimum of restriction, however it also fails to keep the noise level especially low. No complaints here, it’s a simple trade-off that works fairly well. MasterCase 5 is a decent case that is relatively pricey at £89.99. 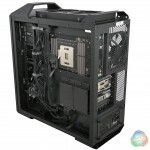 If it were priced at £80 or £70 it would take the fight to Phanteks and Fractal Design, but as things stand it is a bit on the high side. 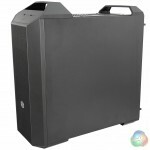 One factor that may change our perception is the range of promised Cooler Master accessories for this range of cases. 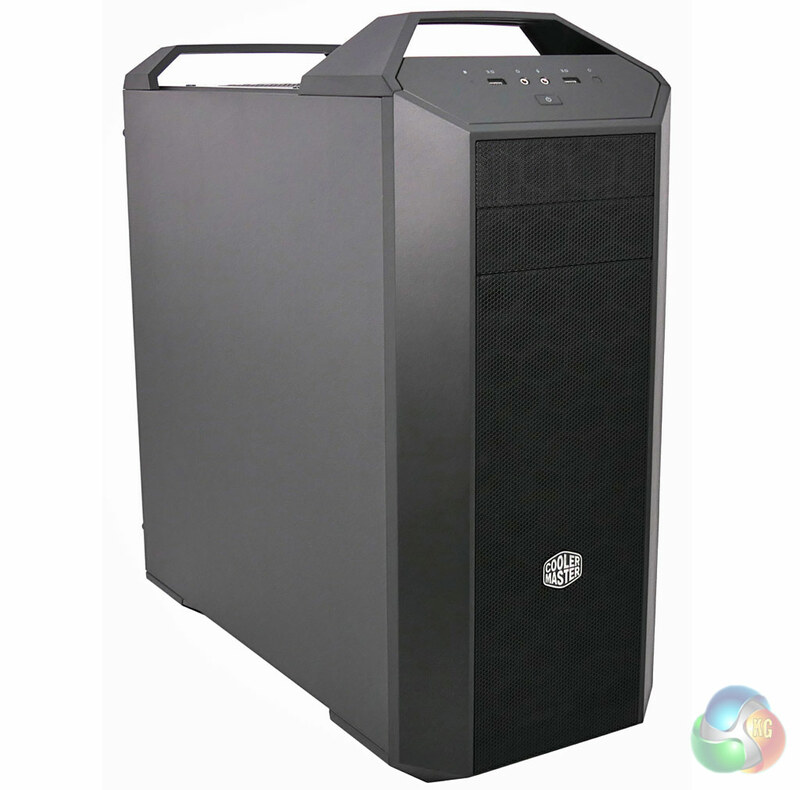 If they deliver some interesting products at sensible prices it will give MasterCase 5 a degree of flexibility that will lift it out of the ordinary. 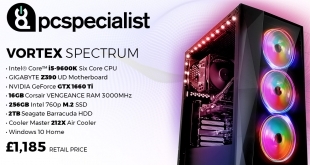 Until we see the accessories and the Maker 5, we are left with the MasterCase Pro 5 and this is a fine case that is priced fairly at £109.99 on OverclockersUK, but once again the accessories could also enhance this model. Pro 5 looks good, is fairly well built, keeps your hardware cool and has enough space to hide cables and other bits and pieces from sight. 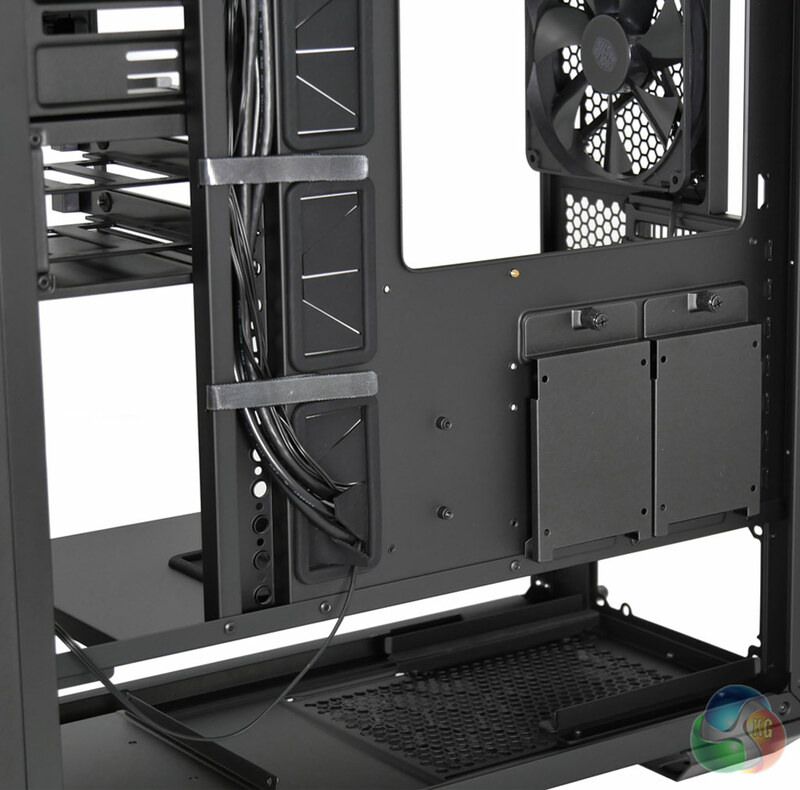 We like MasterCase Pro 5 despite its imperfections, in particular the lack of cable tie points. 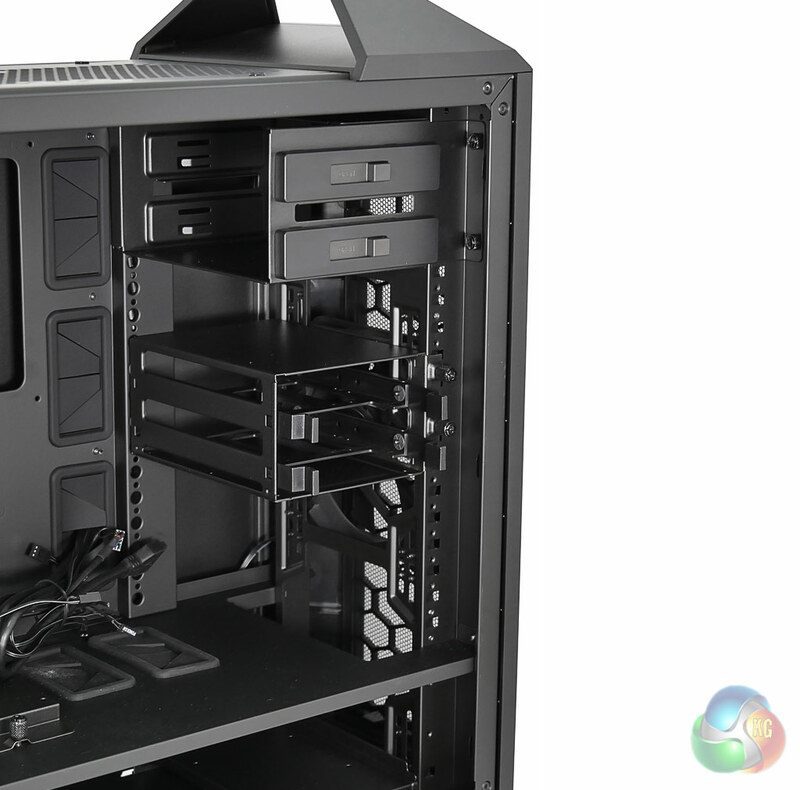 MasterCase Pro 5 is good and gives us real hope that Maker 5 could be a star in the offing. Neat styling on the Pro 5. Useful carry handles on the MasterCase 5. 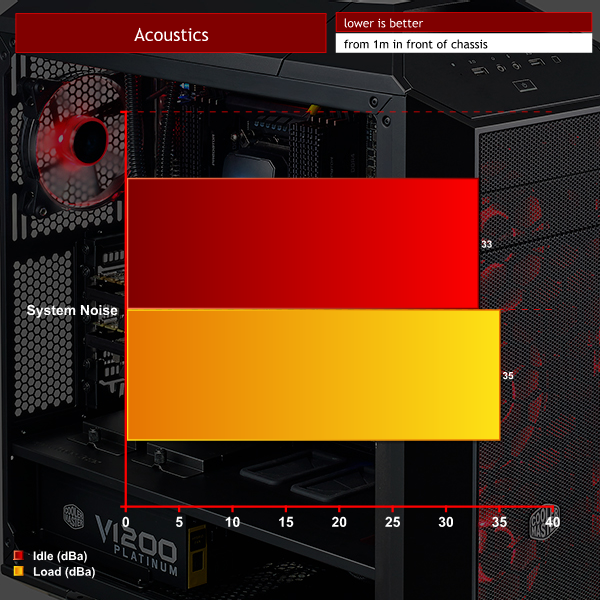 Decent levels of cooling with top radiator on MasterCase Pro 5. Plenty of space for tucking cables out of sight. 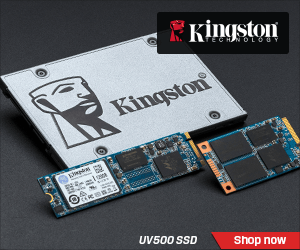 Optional locations for 2.5-inch SSD trays. 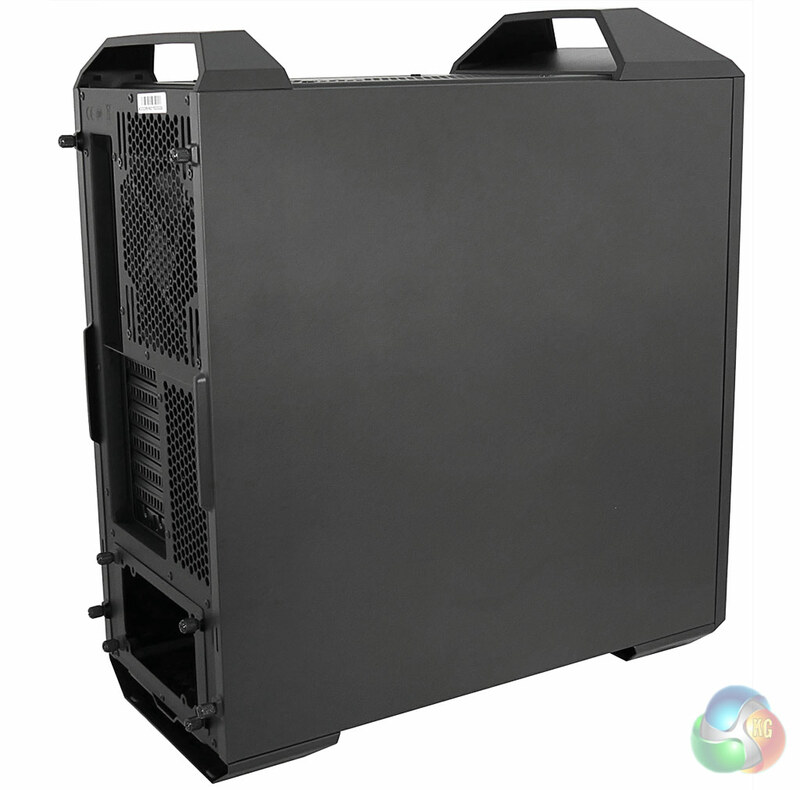 Easy to relocate hard drive cages. The threads for most of the thumbscrews were tight and required care. Side panels appear identical but are not interchangeable. User guide is tiny, albeit a minor point. 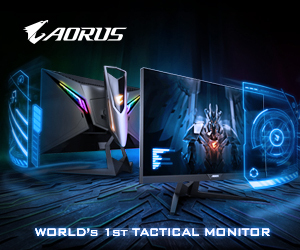 We are waiting for the promised wider array of accessories. 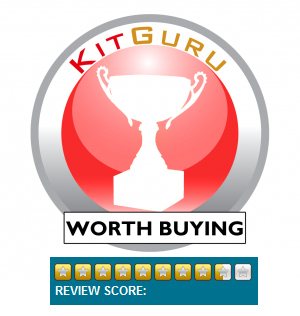 KitGuru says: With the tiny differential of £20 between the two models it makes little sense to choose the basic MasterCase 5 when the upgraded Pro 5 offers you so much more.